Enjoy two or three nights lodging for two in a room or suite. Two tickets, for the Segway Tour in Peninsula State Park, Ephraim. The tour consists of a Segway lesson of approximately 30 to 45 minutes and a 1 & 1/2 hour tour, traveling up and down the hills through the park, stopping at several overlooks that give you magnificent views of the Bay of Green Bay and Horseshoe Island. Groups are limited to 8 people. A $40 dinner certificate for Alexander’s Restaurant of Fish Creek or the Sister Bay Bowl supper club. $25 Door County Gift Certificate which may be redeemed at shops, specialty stores, galleries and restaurants throughout Door County. Three night packages begin at $604 and vary with room selection. Two night packages begin at $452 and vary with room selection. Our Specials are our all-around best deal -guaranteed! Are available only by booking directly with the resort and will not be offered elsewhere. Our specials are not combinable with other offers. LOWEST PRICE GUARANTEE – The rates & packages found on our website are the lowest available anywhere, anytime. Rate integrity is very import to us. It is the reason 60-70% of our guests come again. The rates & packages found on our website are the lowest available anywhere, anytime. Rate integrity is very import to us. It is the reason 60-70% of our guests come again. 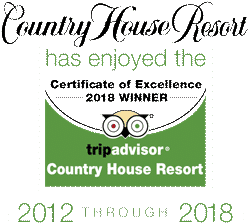 Guests that book directly can feel confident that someone who booked at the last minute, on a third party site, will not get a better rate than our loyal repeat customers.